Both of my bikes have actually been getting some use over the last month or so, which makes a nice change as I'd got lazy about my cycling again. Following an incident with some broken glass, my road bike is now running brand new tyres. I've been breaking these in (and reminding myself why I love road cycling) with some shorter rides, including popping into Gloucester to watch the Tour of Britain come through. My new workplace is definitely in cycling distance (and, unlike the previous place, doesn't involve running the gauntlet of lorries at 50mph) so I've done that once so far. Can't promise to keep it up once the weather gets bad, but hey. 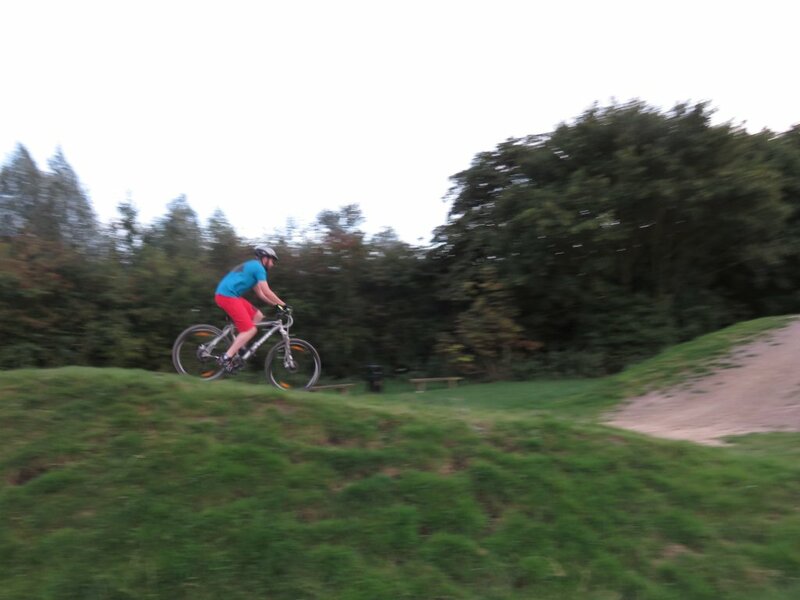 In off road riding news, after approximately 18 months of talking about it I finally managed to convince Jon to take his bike out of the garage and actually ride it! He's really enjoying it, so we've been out a few times now. 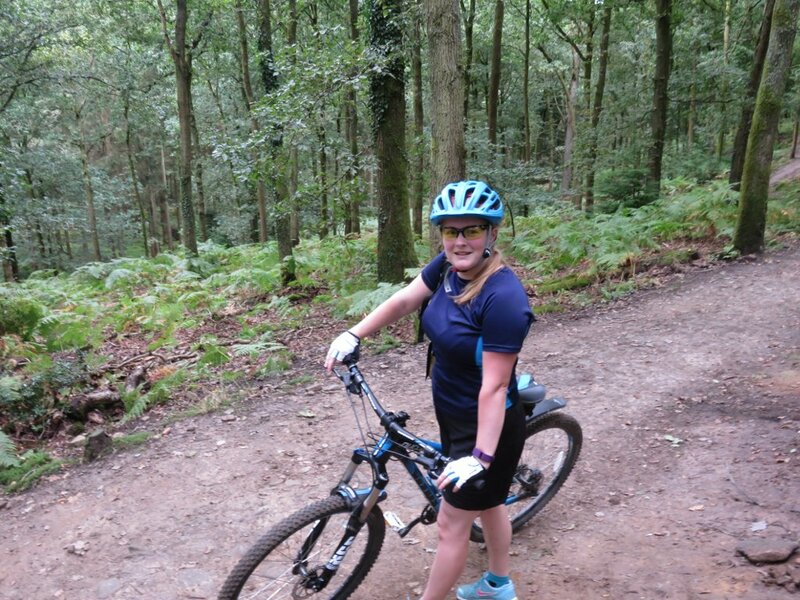 Our first trip was around the Forest of Dean Family Trail - a nice safe choice for someone who hasn't ridden in a while! The second trip was more forest tracks, including bits of the family trail and Cinderford linear park. Our third and most recent FoD trip was a step up - a full lap of the blue Verderers trail (followed by yet another loop of the family trail, because apparently he's not bored of that yet). I hadn't ridden the full Verderers for quite a while, and had forgotten just how fun it is Apart from the switchback climby bit, ugh. I would have got a new Strava PR on the downhill section if I hadn't had to have a bit of an emergency stop to tighten a very rattly saddle. Next time! We bumped into Abi in the car park, who'd just finished some downhill racing. Autumn is my favourite time of year for cycling in the Forest, so no doubt we'll be back for more very soon. I'm so pleased he's enjoying it, as it means I'll be riding more too as we can go together rather than just lazing around watching netflix all weekend. yay!